Can you recall the most memorable wedding ceremony you’ve attended? What made it unforgettable? I bet the one that you are recalling is the one with the most compelling wedding vows exchange. You listened attentively as the couple read their own personal wedding vows to one another, promising how they would love each other for the rest of their lives. There wasn’t a dry eye in the room as the groom poured out his heart and soul to convey his exact feelings for his new wife, their relationship and his commitment to her. When it was the bride’s turn, she reached behind her cueing her maid of honor to hand over the sacred words of promise that she drafted several months before but touched up only hours ago. She read her handwriting verbatim and tears rolled down her cheeks. 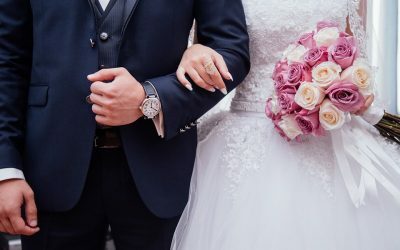 The reason the wedding vows exchange is so impactful during the wedding ceremony is because personal wedding vows capture what’s special about your unique relationship as well as your personal feelings about the person you have fallen head over heels in love with. There’s no better way to start your marriage off on the right foot than with your own personal words of promise. But many engaged couples stumble over writing their vows. Some get writer’s block from just thinking about it. What to say and how to say it can be overwhelming especially when there’s so much emotion involved and a room full of everyone staring out you hanging on every last word. Not to fear! 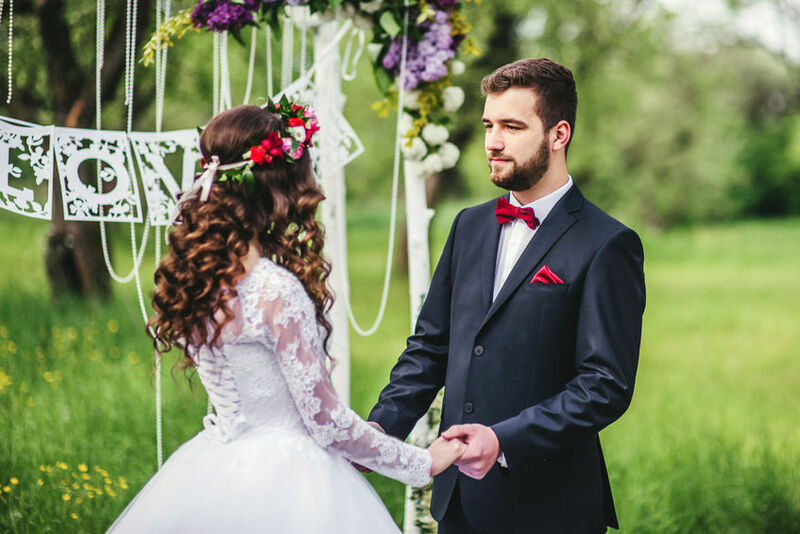 I have pulled together a few helpful tips from my start-to-finish vows writing course, How to Write Personal Wedding Vows That Wow, to get you going in the right direction! For the next week, put a tiny notebook in your purse or use any notepad app on your phone and jot down everything and anything that your fiancé does or says that puts a big smile on your face. 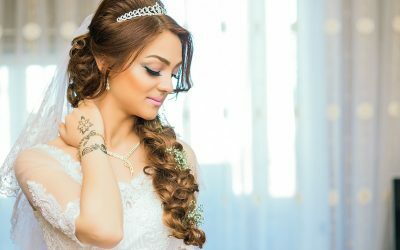 This exercise will help you recognize all the tangible and intangible things about your fiancé which you can use to write your personal wedding vows. For example, do you love when he gives you a goodnight kiss or a big hug after a long day at work? Do this exercise for an entire week and you’ll have a great outline for your vows when the time comes to sit down and write. The very best way to get in the mindset of writing your own personal wedding vows is to look at a picture of your fiancé. It’s super simple and yet so effective to get your mind thinking about all the reasons why your fiancé is the one that you want to marry. Write everything that comes to mind. Don’t try to capture the perfect words just yet. Just think of this reflection exercise as a brain dump. Many times, people get stuck on how to start writing your own wedding vows. They can’t move past that perfect opening paragraph, but I’ve got a simple exercise to get you moving forward. Don’t even think about how you’re going to start your vows. Forget that for now. Start in the middle with your I promise statements. Now is the time when those notes you’ve been taking come in handy. 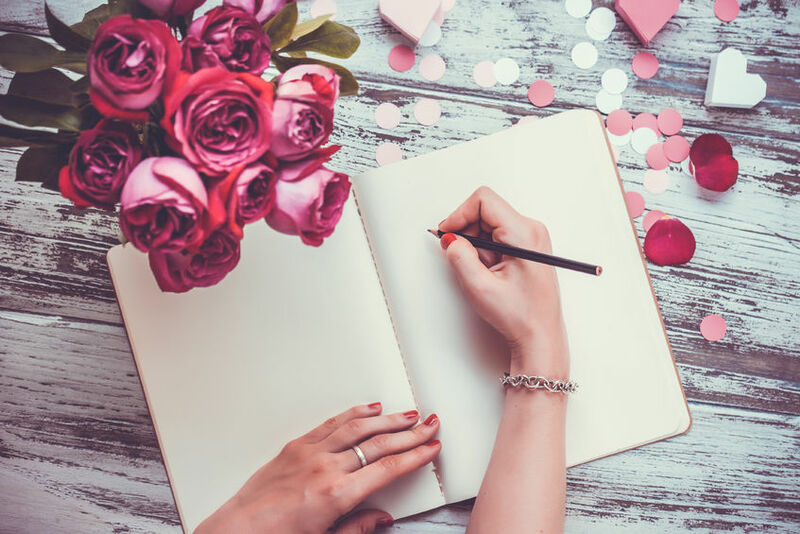 Open up your notepad and read all the ways that your fiancé makes you feel loved and special. How will you return those feelings? How will you love, cherish and honor him or her? Start your sentence with I promise and let your thoughts flow freely. You can edit it later. 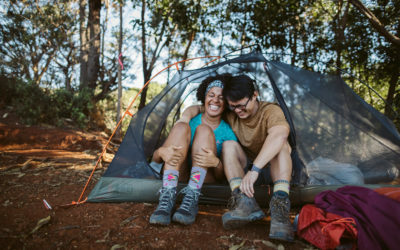 Make sure to put your phone away and carve out alone time when it’s just you and your unfiltered thoughts about building a life with your special someone. If you choose to write your own vows, you, in essence, have indicated that these wedding words are important to you and represent more than simple sentences on a piece of paper. They are the building blocks of your marriage. As such, you need ample time to write a first draft and revise it to make sure your vows reflect your heartfelt thoughts and feelings. Think about your partner who you will be saying your vows to. You would want him or her to deeply feel all the intent you put into your vows. Not to mention that the key to feeling confident in any situation you are uneasy about is preparation. Any good speechwriter will tell you that they start on their draft months prior to the big day. Why? Because they need time to write, write some more, delete, rewrite, edit and finalize. That’s the difference between an amateur and a professional. Which do you want to be on your wedding day? Realize your wedding dreams with a Honeyfund honeymoon registry. Bio: Kristen Rocco is the professional love storyteller and wedding writer of Love Notery. Putting her professional background as an interviewer and writer to work, she created Love Notery to help engaged couples capture their love stories in the beautiful words they deserve to share on their wedding day and treasure as a wedding heirloom for generations. 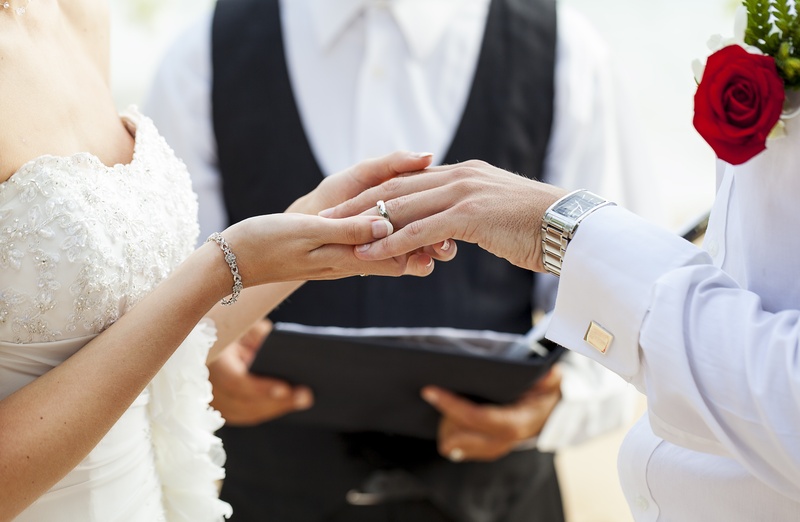 Her wedding vows writing course exclusively designed to help engaged couples from start to finish write heartfelt and meaningful personal wedding vows is now available at http://www.lovenotery.com/howtowriteweddingvows. Find Love Notery and its collection of real-life love stories at www.lovenotery.com.